During the past decade Sunny Stout-Rostron has moved to the forefront of thinkers, practitioners, teachers and contributors to the field of coaching. 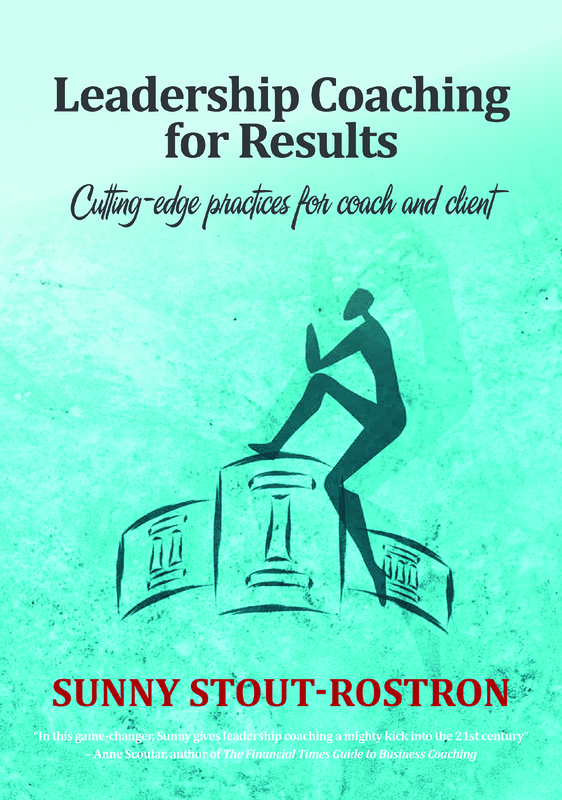 In her latest book, Leadership Coaching for Results: Cutting edge practices for coach and client, she provides as close as possible to offering the definitive guide for coaching people in a business environment. Coaching is gaining rapid prominence and respect in the business community, and Sunny’s book is an invaluable source of rigorous and liberating guidelines on the role of coaching in business in general and for growing leadership talent in particular. The principle of leadership has in its own right evolved quite radically over the past century from the “hero leader up there” to the conviction that a great extent leadership exists within the vast majority of individuals and the challenge is to contribute to unleashing “the leader within.” Sunny correctly locates coaching within this evolving context of leadership. She challenges coaches to be most aware of their own perspectives regarding leadership and to thus recognise that leadership, as everything else, is not value-free but instead imbued with multiple and often conflicting meanings. Being a leadership coach first and foremost means to be conscious about leadership and to be very aware of one’s own beliefs regarding the nature and purpose of leadership. As is always the case with Sunny she paints an encompassing picture of her subject and in the process challenges every coach – and the client – to operate with conscious intent. The practice of coaching, as is the case with any specialised area of expertise, contains a wide range of required competencies that form the foundation of effective and ethical practice. Sunny addresses this in a practical and thorough manner. However coaching executives creates its own challenges and poses very different demands for the coach. When this converges with the challenges of business coaching it has a significant impact on the process of mutual engagement between the coach and client. Sunny is able to make this important distinction because of her exceptional wealth of experience in the broad field of coaching and the more rare space of working extensively with senior executives. She unpacks the specific demands of working with senior people in organisations in a manner that is soundly rooted in the ethics and competence of good coaching practice. She also is refreshingly practical and enables both coach and client to develop a much more critical and focused approach to making the coaching relationship rewarding to all participants in an executive and business coaching context. The pressures that managers and specifically executives face are immense and more so than any time in history individuals need to be committed to ongoing personal development. The vast majority of this cannot take place in academic or class room environments. The process of leadership learning needs to be primarily located within the workplace and Sunny knows this. This is why she located coaching at the centre of ongoing learning and development. It is probably true to say that the openness to be coached and the ability to coach is one of, if not the most essential leadership competencies for the 21st Century. Sunny provides a veritable library of the what and how on leadership coaching – for the professional coach, the specialists in HR and design of training programs, the managers of business related programs at universities and business schools, and individuals in leadership roles who are committed to enhancing the contributions of self and others. This book is set to become a primary source of reference for coaching, but more particularly for shaping how we think about leadership development in general. Sunny has managed to merge the practice of coaching with the core quest of improving the efficacy of leadership development. It is a must-read for leaders, coaches, academics and anyone involved in unleashing the great capacity of the leader within.